LG’s upcoming G4 smartphone wasn’t supposed to be officially revealed until later this month, but a leak originating from the company’s own microsite for the flagship phone leaves little to the imagination. The site showcases full renderings, marketing materials, key features and more. Most of the important stuff had already been teased over the last couple of weeks. That includes a 5.5-inch QHD (2560 x 1440) IPS Quantum Display equating to a 535ppi density, improved f1.8 16-megapixel camera, removable 3,000 mAh battery and a microSD card slot for additional storage. The camera will have laser autofocus and an infrared color spectrum analyzer for more accurate color reproduction, according to the leak. The site contains a full spec list but that appears to be a placeholder for the real thing, given away for the fact that it lists Android 4.4.2 instead of Lollipop and the G3’s 13MP camera. Also, there’s no word on the G4’s processor. Rumors suggest either a Snapdragon 810 or a Snapdragon 808. In terms of design the G4 will look pretty much like its predecessor minus some cosmetic tweaks. 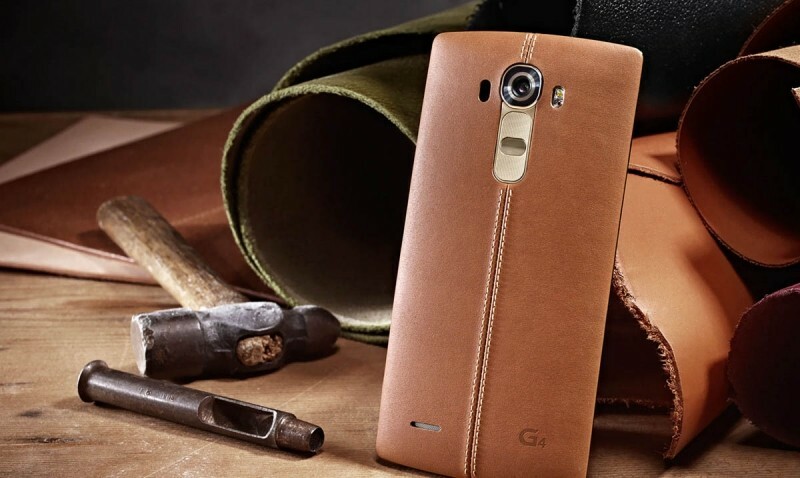 For example, the front of the device features a pseudo carbon-fiber weave, while the G4’s removable back will have multiple color options, including several tones of leather and plastic. LG's press conference for the G4 is set to take place on April 28th, where we’ll likely confirm these details and hear about pricing and availability.